Oxford is the home to the famous Oxford University and ideal travel destination for Harry Potter fans! Many scenes from the Harry Potter films were shot in the city, as producers took advantage of the magnificent architecture, tall buildings, and picturesque sights. 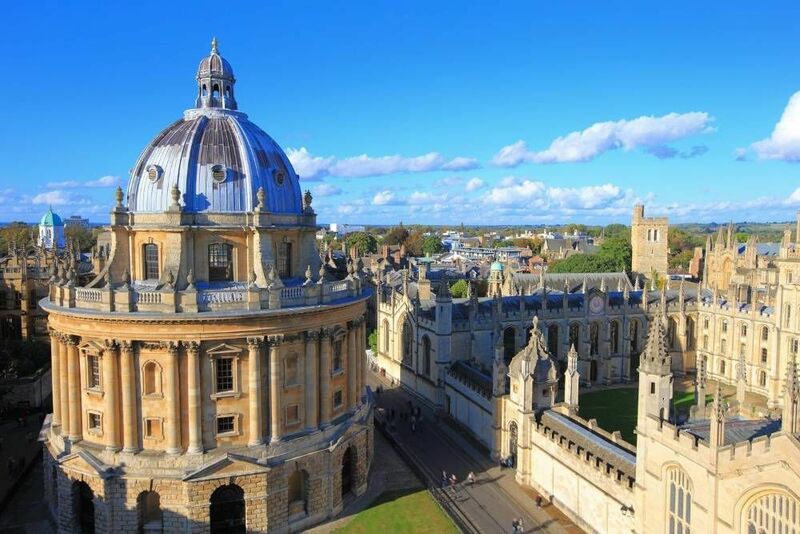 Oxford is mostly known for being the home of Oxford University, one of the top Universities in the world. This gorgeous school features incredible architecture, tall towers, and a fascinating history. This is a city that should not be missed when visiting England. Walk through the town's medieval streets, dine like a king, and enjoy some of the top attractions including the Oxford University Botanical Gardens, the University Church of St Mary the Virgin, Pitt Rivers Museum, and the iconic Radcliffe Camera. Walking tours are a perfect way to see Oxford and its attractions it all in a short amount of time. Check out some of the free walking tours that are available throughout the year, and enjoy everything that Oxford has to offer free of charge! As its name suggests, this is a 2-hour long walking tour that features knowledgeable, professional, and university-educated guides from the city. The tour is given in English and Spanish and is ran seven days a week. In this your, you will get a chance to explore Oxford and see their most famous sites including some of the sets for the Harry Potter films. The founders of the tour started four years ago, and it has quickly earned a global reputation. The content is fun, exciting, and will always keep you interested! Another excellent choice for the Oxford newbie is the Wander Oxford Free Walking Tour. This tour will take you around the city and give you a chance to visit their prestigious colleges, as well as their free museums. Learn the history and discover the sites while walking with a team of professional and knowledgeable guides that will be able to answer all your questions. This tour lasts for about 2 hours, and is limited to 20 people per tour. It is recommended that tourists pre-book their spots to ensure spaces are available. For those who want to explore the city on their own, the Self-Guided Oxford Tour of the City is a perfect choice. There are a variety of stops available, and you can modify the tour to your interests and needs. The length of the trip depends on how many spots you would like to visit, and whether you'd like to stop in the middle for a long lunch or a drink! Below you can find more popular (but not free) activities and tours in Oxford. Are you from Oxford and want to be a tour guide? Please get in touch by submitting your details on this page!